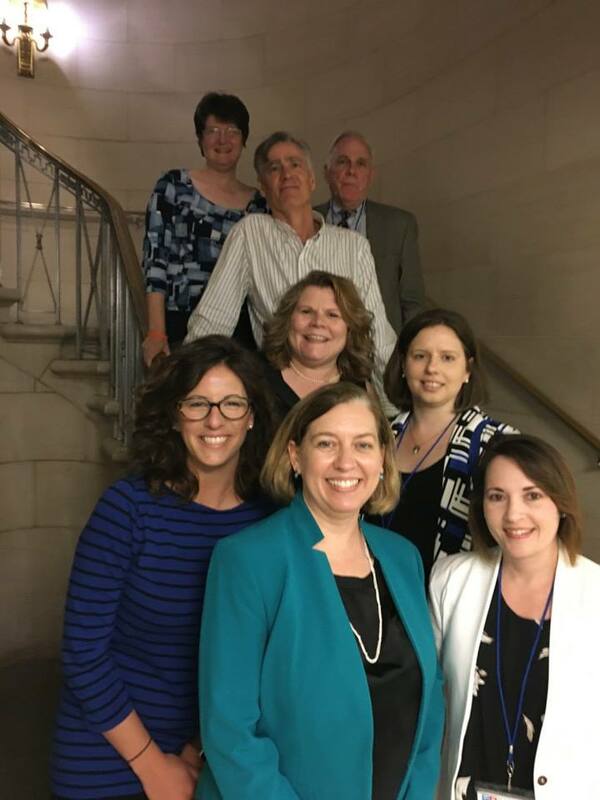 I attended the American Library Association’s 2017 National Library Legislation Day (NLLD) in Washington DC on May 1 and 2 and found it quite a rewarding experience. The interest in NLLD this year was particularly high and registration filled up early. This is not surprising since so many of the values that librarians hold dear are under threat. I met some really interesting public librarians from around the state of Pennsylvania. Listening to them speak about their work supporting and educating their communities renewed my faith in the importance of libraries. NLLD is a two day event. The first day is a briefing on the legislative agenda of ALA and the second is devoted to outreach to congressional representatives and senators. On the morning of the second day I met (along with Christi Buker, Executive Director of the Pennsylvania Library Association) with a legislative assistant of my representative to the 1st District, Robert Brady. In the afternoon we Pennsylvanians split into two groups and visited legislative aids to either Senator Toomey or Casey. This entry was posted in Current Issues, Events, Human Sciences, outreach, Rowland and tagged Hot Topics, Top News by Fred Rowland. Bookmark the permalink.